Stevenson College apartments are completed and are expected to be funded by money recouped in a lawsuit versus Devcon Construction. The regents are seeking an estimated $50 million — $40 million for infill apartment remodeling, $8 million for lost revenue and additional expenses and $2 million for attorney and expert fees. The trial is currently set for January 2015. Photo by Aron Garst. The infill apartment construction project at Kresge and Stevenson colleges is completed and ready for fall move-in. However, the director of Colleges, Housing and Educational Services (CHES) Steve Houser said “a number of issues from the original construction” were discovered and added to the ongoing legal claim. Houser declined to comment on the nature of the newfound problems, or if it increased the lawsuit amount. He said “95 percent of the issues” are part of the legal claim since the original City on a Hill Press article about the construction lawsuit was published in May 2014. 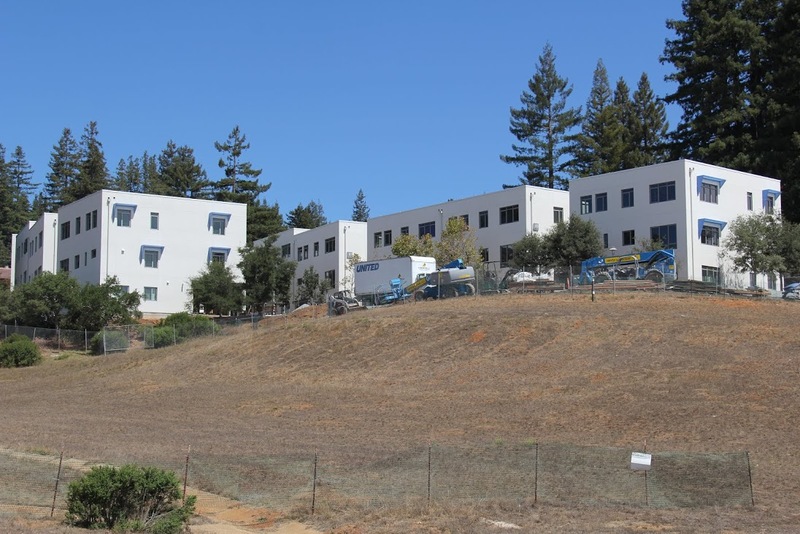 The UC Board of Regents v. Devcon Construction lawsuit was UCSC’s attempt to regain $50 million due to alleged faulty construction completed at four apartment complexes in 2002-04. Phase 2 of the infill apartment construction at Porter and Cowell has begun and the buildings are closed off. UCSC is in the process of bidding out work for this part of the project and Houser said the scope and cost of the project is still undetermined. Last winter it was estimated that the work would be similar to that at Kresge and Stevenson apartments, costing approximately $20 million. With an incoming freshmen class estimated at 4,000 instead of the expected 3,650, Houser said the infill project — which was not designed to increase bedspaces — will now have to convert rooms to maximize space. This is being done at various colleges to house additional students. Houser said he expects Merrill buildings C and D will be ready for student occupancy on Sept. 26. He also said the Merrill Gate House, new student lounges in Merrill buildings A and B, the new elevator and one bridge in A and B will be completed by move-in. The plaza building will be the last on the list to be open, with an expected opening date mid to late fall quarter. At Oakes over the summer, new smoke alarms and shower enclosures were installed in the residential halls, while exterior shingles on the roof of B building were replaced. New carpet, furniture and paint were added to the Guzman Lounge.